When building tracks for your model train layout, modelers have a few opportunities to add turnouts and siding into their trackage. 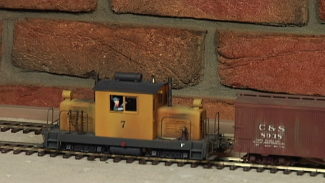 Generally, you can either construct all of the straightaways first and leave space to come back and retroactively install the turnouts, or you can build them into the trackage as you go along. In this lesson, we teach you the expert tips you need in order to learn how to build a model railroad turnout into your trackage as you go. If you’ve opted to build the turnouts on your railroad into the trackage as you go, the process is relatively simple and stressfree. To help you discover how to build a model railroad turnout into your trackage, NMRA Master Modeler Gerry Leone walks you through the step-by-step method for tracing the center lines for your turnout on the subroadbed, laying the underlying cork roadbed and drilling holes for the turnout track switch. All you’ll need to complete this process and learn how to build a model railroad turnout is your commercial or scratch-built turnout, a stretch of 1/2-inch thick cork and CA glue. Gerry begins his demonstration by showing you the proper technique for determining the centerlines your tracks will follow after they’ve split. 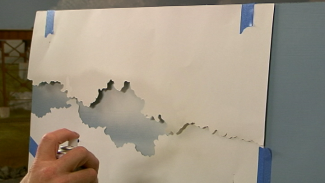 He uses a magic marker to establish the tracks’ paths, and then shows you how to dissect the cork strips and form the outside edges of the turnout’s roadbed. 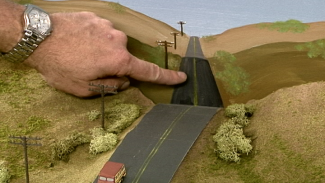 With the outside edges glued down and given time to dry, the remaining steps in learning how to build a model railroad turnout involve laying the interior portions of the cork roadbed and drilling a hole for the turnout switch. 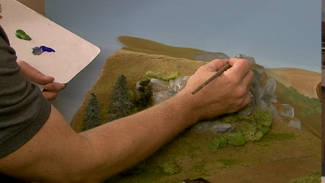 Gerry teaches you the proper technique for each of these components of the process, and with all steps accounted for, you’ll know how to build a model railroad turnout!